Community Connex is an online, social networking tool that allows users to gather, discuss, and publish resources that are important to communities and groups. What sets Community Connex apart from other portal systems is the ability for users to define the issues that are important to them through the language and resources that speak to their specific community and needs. Community Connex allows for seamless group sharing, network tracking, information reporting, and group definition. 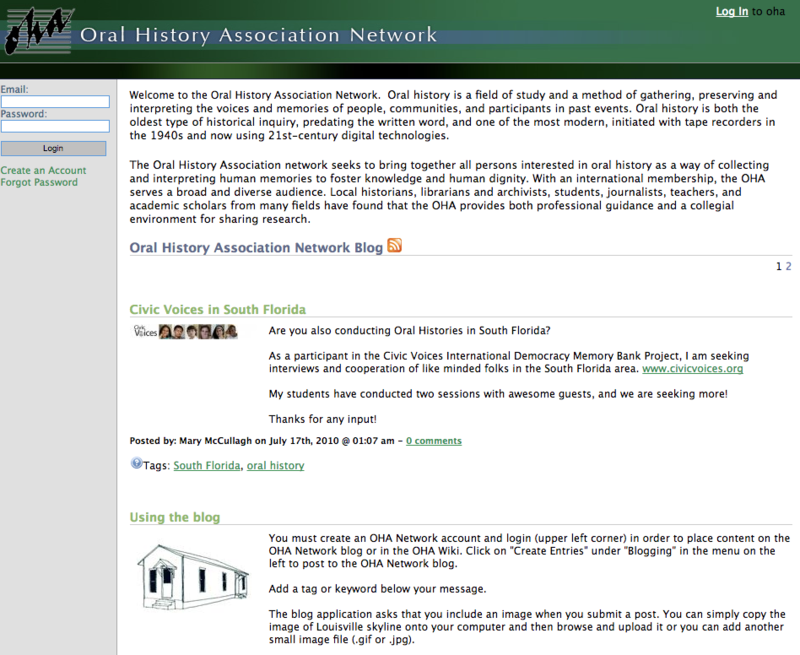 This resource is currently being used to support a number of community-based projects, including the Oral History Association Network.